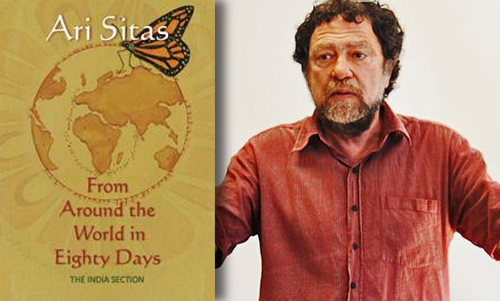 Ari Sitas’ latest poetry collection, From Around the World in Eighty Days: The Indian Section, was published by Unisa Press earlier this year and forms part of the prestigious Unisa Press Flame Series for interdisciplinary works. Interdisciplinary, because the volume not only includes full colour original Kerala art work by Aami Atmaja but also an audio CD with the author reading some parts of the poetry to music composed for the book. 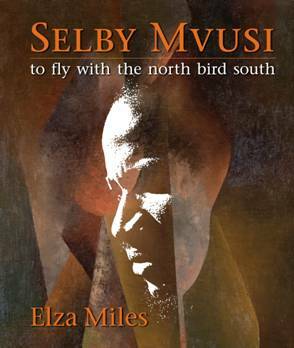 The poet and Head of the Department of Sociology at the University of Cape Town recently answered five questions about his book, and shared an excerpt from his favourite poem in the collection. 1. What inspired this collection of poetry and where does the title come from? It is my desperate attempt to bring into language the impact India has had on my experience and creativity. At first I thought I could do a vivid and audacious re-run of Jules Verne’s classic as a tale of “globalisation and its crazinesses”. But my long stays in India got me stuck there. Imagining myself as a latter day (South African) Mr Fogg with a Passepartout in tow, allowed me to play with my role as an outsider and deal with my intensive encounters. I followed the topography of the novel as close to the original as possible but “my” India is different. I had been going there since 1995 but my first long stay was in 2003 and I remember how overwhelmed I was by the visceral encounters with people and places that I felt wow, what is going on there? I sat down in one of my solitary moments (yes there are little nooks without people) and listed 64 books and 28 pieces of music I had imbibed on this place by then and still felt that I knew nothing. Slowly your sociological imagination starts ordering things, what holds this energy together, what greed, what need, what is said, what is unsaid, who worships whom, who kills whom. In the end it was like a poetic scrapbook, like a traveller’s notepad and I did start sketching things and all of a sudden Aami Atmaja this young and outrageously talented Kerala-based artist started sketching things as if she were me and by the end, I/we had a piece of art. Spending 27 years in Durban prepares you somewhat, but nothing prepares you for your arrival on Holi in Mumbai in 1995 and coming to observe a march of the supporters of Shiv Sena and clutching a copy of Rushdie’s The Moor’s Last Sigh that you have just read. People have called it my Love Song to India. I like that! 2. 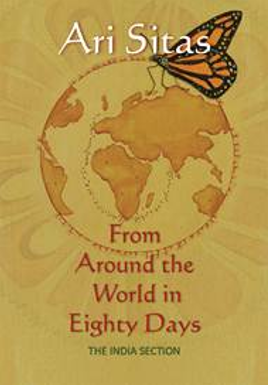 What is From Around the World in Eighty Days: The Indian Section about? It is the journey, Betty Govinded called it a new “holy grail”, undertaken by the author and his Senegalese sidekick through 21st century India, across the Arabian sea with Oil rigs on fire and Rimbaud-like seas to Mumbai and from there by the great Railway system to Pune and there inland, finding an elephant, getting to Delhi and from there after saving Aouda from Satee/Sati making it through Varanasi, Patna, Kolkata and trying to leave without being able to and to top it all Aouda ain’t going to London etc. In the poems you find allusions to a trip already taken from London at the time of the bomb-blasts, through France, Germany etc. Ahead is the Pacific with its mythical and fictional islands, but there is no home! On the way, the landscape is pock-marked by poets, musicians, rioters, Dalits, movements, Tagores, Gandhis, Nehrus, cricket score experts and zillions of wild spirits. 3. In a nutshell, who is Ari Sitas the poet? I’m South African socialist thinker and creative person of Cypriot descent who has written a few volumes of poetry starting with Tropical Scars in 1989 which was very much about Durban during some cruel and violent years. Then I worked on a series published by COSAW titled, Songs and Shoeshine and Piano, that played a lot with musical form. I did a lot in between until Slave Trades (2000) which took seven years of research which deals with Rimbaud in his Ethiopian years, or Ethiopia during the Rimbaud years. 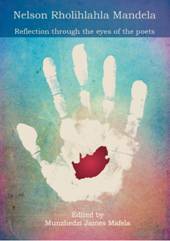 Then in 2004 I put together my RDP Poems, all about the transition and its woes. I did a whole range of other poems and lyrics until an ensemble of South African and Indian composers started putting much of my work to music as part of the Insurrections project. Deep South put together a selected works edition of my work in 2013 and then came this one a few months later. I am completing my current poetry effort, the Vespa Diaries, which is a poetic transcription of every South African square inch of landscape. It includes Wonderkop in Marikana. I am a public poet. I work on living rights: the right not to be bombed, killed, raped or chattelled. 4. How did you create this anthology and what is it that makes it unique? I spoke about the sketches and the art. What is also included is an audio of me reading with a range of South African and Indian musicians helping along. Key here was Dean Henning’s idea of a soundscape that is not about trying to be Indian but playing with some of the forms from our Indian friends but within a tonal landscape of local loops. All these embellishments and intricacies do not make it unique. The thing that tickles me wonderfully is that I managed to create an environment that allows for Indian and African readers to feel at home in, despite my critical tongue about life’s conditions. 5. Please share your favourite poem from the collection, as well as the story behind it. My favourite poems change. Here is one that plays with two traditions, the more reflective/lyrical poetry of Faiz in prison, and you must listen to Iqbal Bano singing some of such poems and with Urdu romantic poetry gifting the beloved items of beauty for her beauty. They are not responsible for what I did with such raw materials to adorn Aouda. I come to them from far, from the 21st century from a ruthless country.